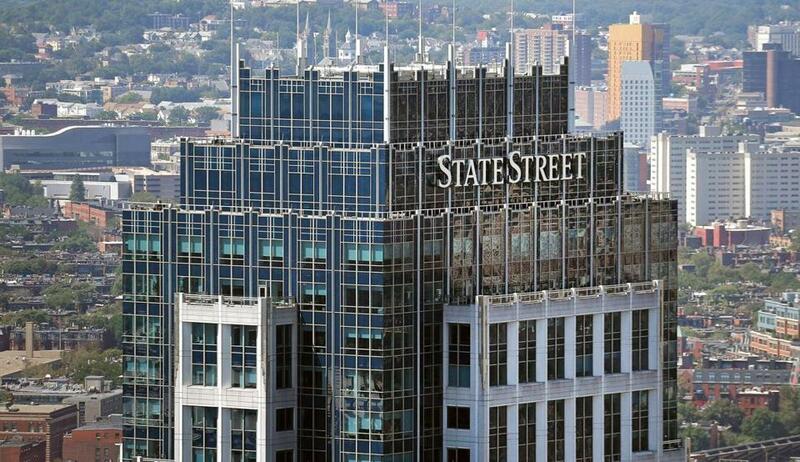 State Street Corp., one of the Boston area’s biggest employers, launched another round of layoffs as it accelerates a campaign to boost efficiency in the face of tough competition and what it called an uncertain outlook for the global economy. The Boston company said Friday it would eliminate more than 3 percent of its workforce, or about 1,500 jobs, including a previously disclosed 15 percent cut among its several hundred senior managers. The company, which provides custodial services for investors and manages $2.5 trillion in client investments, has about 12,000 employees in Massachusetts, mainly in Boston and Quincy, and approximately 40,000 worldwide. State Street announced the layoffs along with fourth-quarter operating profit of $1.68 a share, beating Wall Street estimates by a penny. Ronald O’Hanley, who took over as chief executive from Jay Hooley at the start of the year, made clear that despite improvements over the past couple of years, the company needs to become leaner and more productive. “Structural costs are still too high and our automation efforts have not moved fast enough,” he said in a statement. O’Hanley is aiming to trim“structural expenses” — including compensation, benefits, and occupancy costs — by 2 to 3 percent a year. Other steps will include increased use of automation, simplifying the company’s worldwide operations, and reducing payments to vendors. The results for the October through December period included a $223 million pretax charge to cover the cost of restructuring, which State Street said would yield savings of $350 million this year. That’s in addition to $550 million in savings achieved through Project Beacon, a multiyear modernization effort to use technology to handle more of the work now done by employees. Beacon has wrapped up, but the company will continue to spend on automation. Investors, who drove down State Street’s stock price by one-third in 2018, have become more optimistic this year. Its shares are up 10 percent year-to-date, closing Friday little changed at $71.30. State Street’s asset services business, which keeps track of $31.6 trillion in assets for hedge funds, mutual funds, and other institutions, is a high-volume, low-margin operation, with fees continually under pressure from competitors such as JPMorgan and Bank of New York Mellon. The company’s asset management arm, State Street Global Advisors, also has been squeezed by industrywide pricing pressure on index funds. In the fourth quarter, a drop in financial markets reduced the custody and investment assets on which State Street earns fees. Servicing fees fell 7 percent from a year earlier to $1.3 billion. Money management fees rose 5 percent to $440 million because of a change in how it recognizes revenue, which offset the effect of the market decline and withdrawals from the company’s cash and institutional funds. Net interest income, the money the company makes on lending, gained 13 percent to $697 million as its net interest margin increased 0.17 percentage points, thanks in part to rising interest rates. Net income, which includes expenses that State Street doesn’t count in operating profit, rose 19 percent to $439 million, or $1.04 a share, on a 4.9 percent increase in revenue to $2.99 billion. The restructuring charge reduced earnings by 43 cents a share. Expenses rose 16 percent. Larry Edelman can be reached at larry.edelman@globe.com. Follow him on Twitter @GlobeNewsEd.Jon Chesto can be reached at jon.chesto@globe.com. Follow him on Twitter @jonchesto. Sign up for the Talking Points AM newsletter here.